Head a little south from Buxton town centre to Green Lane, and you'll find the town's practical test centre. This small building is the starting point for hundreds of tests each month, and is the main option for learners looking to take their practical in the High Peak. If you're one of the many learners heading here, we'd recommend getting to know the centre a bit better. You can do this by checking out directions, pass rates, test routes and much more about Buxton. Barely 5 minutes from the centre of Buxton itself, and right next to Cote Heath Park and the A53, learners certainly won't struggle with finding Buxton test centre. If you've not had the chance to look around yet, however, simply use these directions. Please note that Buxton test centre does not provide parking spaces, so you'll have to park up on one of the nearby residential roads. As a learner driver, it’s all too tempting to look for test routes so you can memorise them before your test. Unfortunately, you won’t be able to find an up-to-date one. You can, however, get a rough idea by looking at videos of Buxon test routes on YouTube or by downloading our sample Buxton driving test routes. If you're taking lessons with a local ADI, they'll also have you honing your skills on the roads that will feature on your test anyway—so your test route won't be too unfamiliar. With pass rates coming up higher than the national average, it seems that Buxton’s not too shabby. Of course, it’s not all about pass rates—you’ve got to take into consideration individual ability and effort. Just keep calm and remember everything you’ve been taught by your instructor. Wondering what your chances of passing are? Take a look at the average number of attempts it takes to pass the driving test. What If I Can’t Go To Buxton? If you can’t head to Buxton test centre, there are two other test centres in Derbyshire: Chesterfield and Derby Alvaston. No-one likes to have to wait for test results. Fortunately, your examiner will give you your results as soon as you’ve parked up at Buxton test centre. They will also give you a feedback sheet—regardless of your result—containing any faults you made. 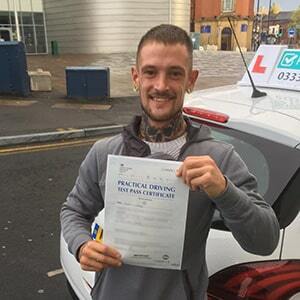 If you pass, you’ll get a test pass certificate and you’ll be given the option to send off for your new licence straight away. 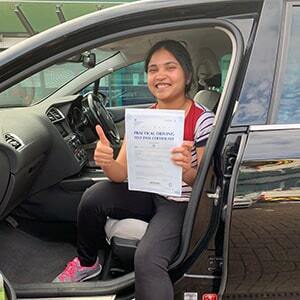 We’ve helped hundreds of learner drivers pass their test—not all of them pass first time. It’s all about learning from your mistakes and getting back in the car to retake your test. PassMeFast can get you booked back in ASAP—even offering refresher courses to make sure you’re test-ready before your big day. Simply contact us via our website or call us on 0333 123 4949 to get started today. A lot of learner drivers make the mistake of taking traditional hourly driving lessons. The downside to this format is that you end up spending half of your lesson refreshing what you were taught in your previous lesson. 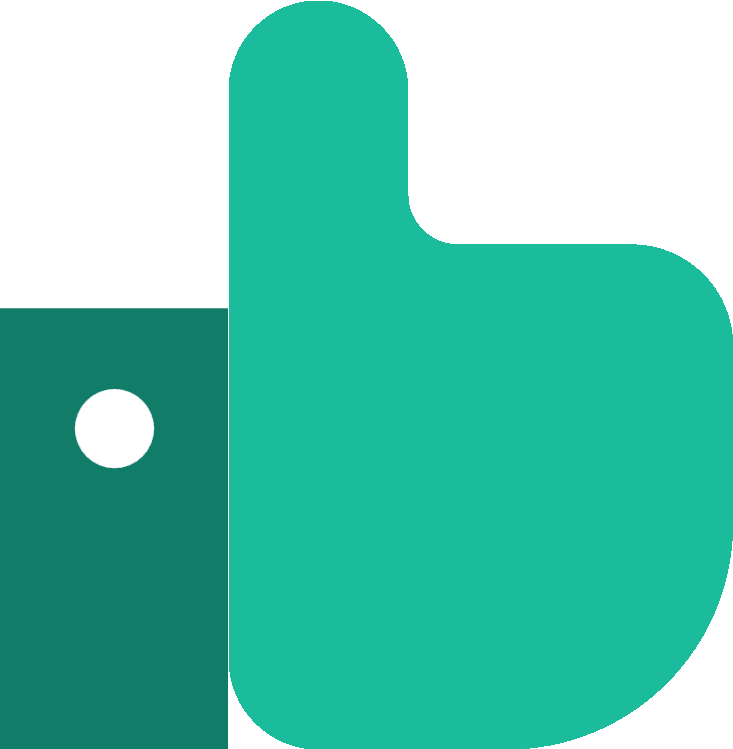 PassMeFast offers the perfect solution to this: intensive courses. 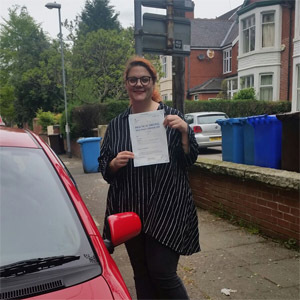 Our courses are designed to be completed within weeks, so you can get on the roads in Buxton in no time. Don’t wait around—look at our course prices, pick the right course for you and give us a call on 0333 123 4949 to get started today. Alternatively, book online today.